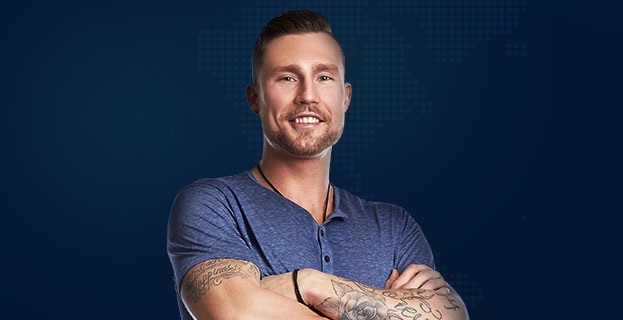 Today in the Big Brother Canada 7 house, we got a sense as to where Mark stands — and where the rest of this game could be going from here. The Veto Ceremony is now complete and during it, Adam (of course) opted to remove himself from the block. On the other side of that, we saw Mark as HoH go ahead and nominate Estefania alongside Damien, who appears to now be the target. There was an idea for a while for Mark to nominate Cory instead, but he was pushed out of it mostly by Anthony and that gives us a sense as who is really running the show — and whose advice is being listened to the most. Think about how Adam has lost numbers closer to him like Sam and, to a certain extent, Chelsea. Dane also lost Kiera, who was at one point close to him before going rogue. Mark never really had anyone, but Anthony still has his #1 side alliance in the game. For some Big Brother Canada updates in video form, remember to check out the latest below! Also, remember to subscribe to CarterMatt on YouTube for more updates and you can also check out our official show playlist for more scoop. While this move cements that Mark wants to remain loyal to the Pretty Boys for now, it’s hard to deny that there is a schism in the group with Mark being the first person to nominate someone technically in the alliance in Adam. We don’t think that Adam is going to forget this, but we also wouldn’t be shocked based on recent conversations if Adam because the first person cut from the group. He’s seen as an enormous competition threat for now, and we don’t think it’s lost on the other Pretty Boys that he already has Sam in the jury house and Kyra could also be someone who votes for him at the end depending on the specific configuration of players left. With Damien seemingly leaving the game on Thursday, we could be losing one of the few, truly-independent minds left this season. Damien never seemed to be really under the spell of any of the guys, but he was close to them at times. His biggest issue is mostly that there wasn’t that killer instinct. We don’t know if he didn’t try hard enough in competitions or just wasn’t feeling up for them at the time, but he just couldn’t win and he didn’t do enough in the game to turn the tide. We’re not going to blame him for not doing anything with some sorry advantages, but we do understand why some people could choose to be rather frustrated by them not materializing into anything. Be sure to head over here in the event you want to read our full interview with Sam from this past week!